“I am now prescribing Seagreens® to almost all my patients as a natural source of vitamins, minerals, amino acids and other nutrients. I see a lot of health improvements: from improved energy and stamina to better memory and skin. "Holistic Dentistry is an approach to dental treatment, primarily caring for patient's health and safety from both a conventional as well as an 'alternative healthcare' point of view. In holistic dentistry there is an effort to find biocompatible materials to use to reduce toxicity for everyone, especially the chemically sensitive. Amalgam use is avoided in holistic dentistry - "mercury free" due to concern about possible toxicity problems. At the holistic dental centre we replace amalgams with natural-looking bonded materials. We give advice on nutritional supplements prior to amalgam removal and detoxification, especially of residual mercury deposits in body tissues. 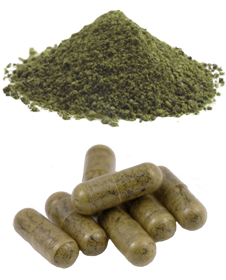 Seagreens is the ideal core in a group of shorter term nutritional or herbal supplements which may vary for individual patients, including coriander and additional selenium, B vitamins, sulphur and zinc. Detoxification with Seagreens is thought to be effected through three principal modes of action: 1. Binding and removal of toxic metals and radiation including barium, cadmium, cobalt, lead, mercury and strontium by special 'seaweed' polysaccharides, amino acids and minerals; 2. Cleansing of the digestive tract, blood, lymph, and kidneys by the polysaccharides, several pigments including chlorophyll, and the seaweed's antioxidant vitamins and minerals; 3. Improved metabolism of carbohydrates, proteins and fats by the special polysaccharides and naturally chelated minerals, trace elements and compounds; and by improved acid-alkaline balance."